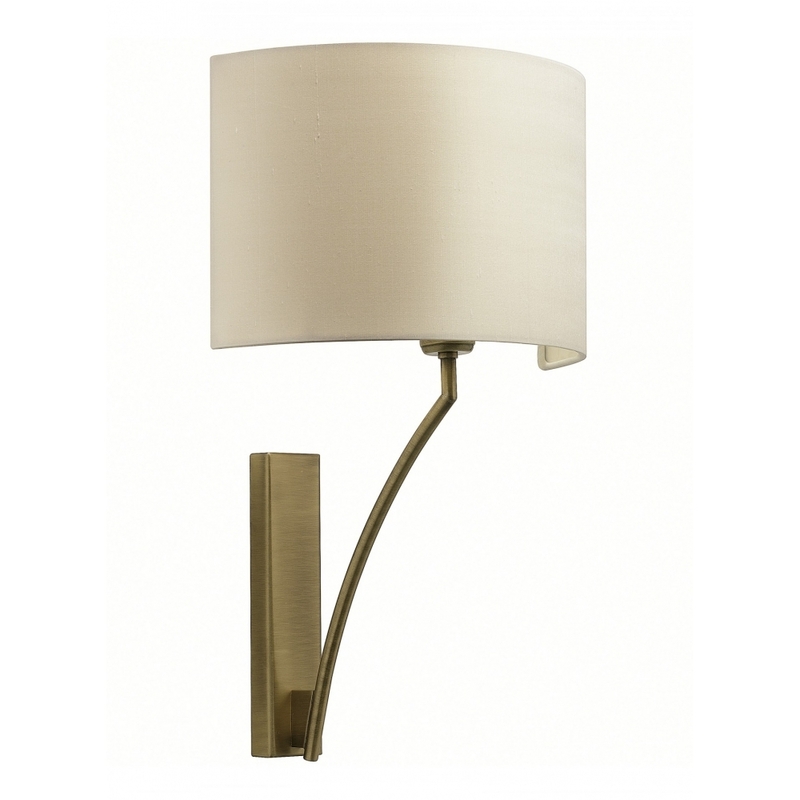 The Elgar Wall Light by Heathfield & Co features an elegant arched stem and crescent shaped shade. Available in nickel or antique brass, this on-trend wall light will make a sophisticated addition to a home office or living space. Style with dark woods and opulent fabrics for a classic and timeless look. The shade shown is crafted out of a beautiful, muted mink satin and complemented by a contrasting gold pvc lining. More luxurious shade options are availble. Get in touch with our team for more information. Priced for 10" Crescent shade in silk with white PVC lining. Please contact us for other options.